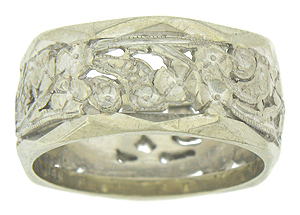 Sprays of cutwork flowers spin across the surface of this vintage wedding band. The edges of the band are faceted. 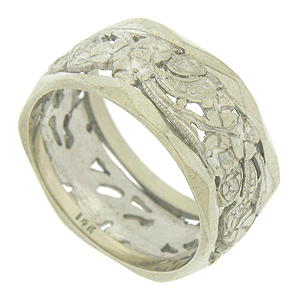 Fashioned of 14K white gold. 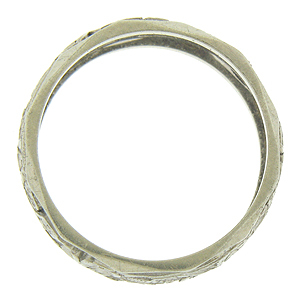 The wedding ring measures 9.69 mm in width. Circa: 1940. Size 8 1/2. We cannot re-size.